For a brief time in the late 80’s, the upstairs back entrance of the Palladium opened as a small rock club known simply by its street address “123 East 13th Street”. I only attended one event at that club and it was memorable — the late 1988 return of Pylon to live performance. It had been somewhere in the range of about seven years since Pylon had last played NYC and this would unfortunately be the last time until their appearance at Mercury Lounge in 2007. The final Pylon show in NYC would be the December 2008 show at Knitting Factory. In memory of the innovative guitar work of Randy Bewley, we dug deep into the archives for a recording of the 1988 show. Although I attended this show, this recording was not captured by nyctaper. It was mastered by an anonymous person and was ultimately offered as a bit torrent download on dimedozen in March of 2006. The source of the recording is a first generation cassette, and the quality is really quite excellent for the time and the equipment. 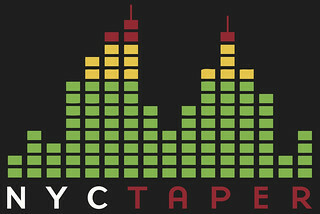 As this is not an nyctaper recording, we have decided not to offer it on the site, but rather as a bit torrent download at dimedozen where it originated. You must register for this site to access the download (there is a membership cap, but keep trying as they clear out dormant accounts every hour). The dimeadozen bit torrent download is [HERE].